your dog can finally join the family for thanksgiving dinner! Thanksgiving Day is one of the few times of the year where the whole family gets together. Aunts, uncles, cousins, grandparents... everyone enjoying a meal around the table, sharing laughs and stories. But what about your dog sitting at your feet, feeling left out and begging for scraps?! Luckily, with these tips, you'll be able to include your four-legged friend in this year's feast! Turkey is a lean, tasty protein that your pet can enjoy! Be sure to stick with white meat, remove any excess fat or skin and double check for bones before you share some with your dog! Mashed Potatoes are another harmless treat that your pooch can enjoy with their turkey dinner. However, add-ins like cheese, sour cream, gravy, butter, or onions are no-no's in your pet's diet, so try to give your dog a serving before adding the extra ingredients! Cranberry Sauce is alright for your dog to enjoy as long as you are watching the sugar content! You can always give your four-legged friend a small scoop with their meal! Macaroni and Cheese is another safe leftover to share, especially if you know that your dog's stomach can handle dairy! While it is better to give your pet some plain macaroni before adding the cheese, your pooch can enjoy a small serving with a smile and still feel great the next day! Green Beans are a safe and healthy treat for your pet! Fresh vegetables are a great addition to any diet, but don't give your dog any if they're already mixed into a casserole with other ingredients! Corn is a safe food to share with your dog... as long as it's not still on the cob! 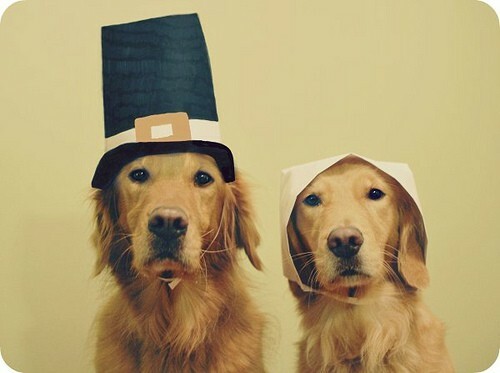 You can add some loose corn to your pet's plate to complete their Thanksgiving dinner meal! While your pet is enjoying their Thanksgiving dinner, keep an eye out for some harmful foods that your pooch may try to sneak a bite of. Thanksgiving foods like gravy, stuffing, onions, and grapes can be quite toxic to your pet. Here are some foods that you should keep out of your pooch's reach to ensure that they have the happiest and healthiest Thanksgiving dinner yet! Be sure that all of your family members also know which foods are harmful for your dog; the little ones at the table might see you giving your pooch some table food and want to join in on the fun and sharing too! The team at Dan's Dog Walking and Pet Sitting is happy to help you include your four-legged friend in this year's Thanksiving dinner!